215 People's Alliance | People to the polls. People to the streets. Power to the people. policing, and a criminal justice system that is fair to all people. A platform for racial and economic equity. The Path to a More Just Philadelphia. Perspectives from 215PA leaders & allies on the movement, from the ballot to the streets. REPORT: Councilman Allan Domb’s Tax Abatement Profits. Apply to be a Field Organizer with 215PA this Spring. Apply to be an Organizing Director for 215 People’s Alliance. Vote with the People’s Platform!. 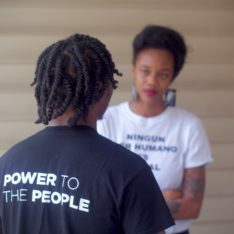 Volunteer for the People’s Platform. Here’s how you can volunteer for candidates aligned with the People’s Platform on Primary Day (May 15)! Interested volunteers can contact Andrew Heyman. He is overseeing our volunteer coordination for Election Day. Job Opening for 215 People’s Alliance Field Organizer. 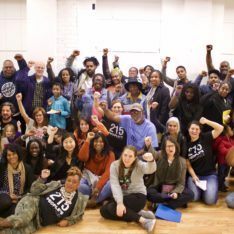 215 People’s Alliance is a multi-racial collaborative dedicated to fighting for equity and justice in Philadelphia - at the ballot box, and in the streets. We are parents and neighbors, teachers and students, union members and block captains, cab drivers and cashiers working to unite a broad sector of Philadelphians to make meaningful change. © 2019 215 People's Alliance.